Q.1) Which of the following state is not touching by Yamuna River? Q.2) Nirmala Sitharaman belongs to ________ Constituency. Q.3) In Which state Simhadri Super TPS is located? Q.4) Which of the following national park is not located in Andaman and Nicobar Islands? Q.5) Which of the following wildlife Sanctuary is not located in Jharkhand? Q.6) What is the tagline of UCO Bank? Q.7) Which of the following is not the dance of Andhra Pradesh? Q.9) Who is the chairman of IRDAI? 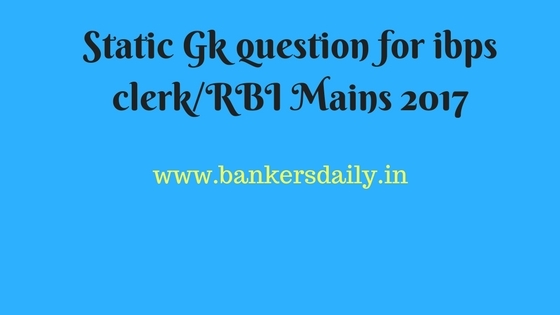 Q.10) Who headed the committee to examine the wage structure, service conditions of the Gramin Dak Sevaks (GDS) in the Department of Posts (DoP)? Q.11) Line of Actual control is between _________. Q.12) Curzon Line is between _______. Q.13) Who headed the committee to frame comprehensive National Sports Development Code across sports disciplines? Q.14) Who is the chairman of TRAI(Telecom Regulatory Authority of India)? 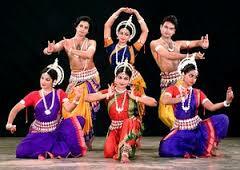 Q.16) Which of the following is not the dance of Maharastra? Q.17) What is the tagline of Yes Bank? Q.18) Which of the following wildlife Sanctuary is not located in Himachal Pradesh? Q.19) In which state Amravati TPP is located? Q.20) Thawar Chand Gehlot belongs to ________ Constituency. Q.21) Raj kumar singh belongs to ________ Constituency. Q.22) In which of the following countries Kosi River is not flowing? Q.23) Which of the following river is the male river of India? Q.24) Alphons Kannanthanam belongs to ________ Constituency. Q.25) Jual Oram belongs to ________ Constituency. Q.26) In which state Khodri Power Plant is located? Q.27) What is the tagline of Bank of Maharashtra? Q.28) Which of the following is not the dance of Haryana? Q.29) FTSEMIB Stock Exchange is located in _______. Q.30) Who is the chairman of PFRDA (Pension fundregulatory and Development authority)?